We all know that a bad nights sleep will leave you feeling groggy and tired in the morning. You wake up with a lack of energy, and you aren't ready to attack the day with your usual zest. 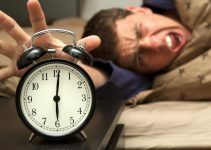 The number of people not getting enough sleep every night is rising as the stresses become greater and greater whether its work, family or general life-related. You may already know that you're getting optimal amounts of sleep, but wouldn't it be fascinating to be able to account for these hours. With sleep trackers now you can. Many studies have been conducted, and extensive research has been completed to explore sleeping patterns and behaviour, usually with older generation expensive equipment. Technology has progressed rapidly, and now the average consumer now can monitor their sleep pattern. Scientists have done extensive research on sleep patterns and typically use bulky/expensive equipment to do so. However, with the advent of new technologies, it is now possible for the average consumer to easily monitor their sleep patterns. Of course, you won't be able to accurately diagnose any complex medical issues as a professional assessment would, but a sleep tracker can provide useful and interesting information about the quality of your sleep and can provide additional tips and steps you can take to improve it. We've hunted down the best sleep trackers to help you monitor and improve your sleeping patterns to allow you to get to sleep easier and sleep for longer. 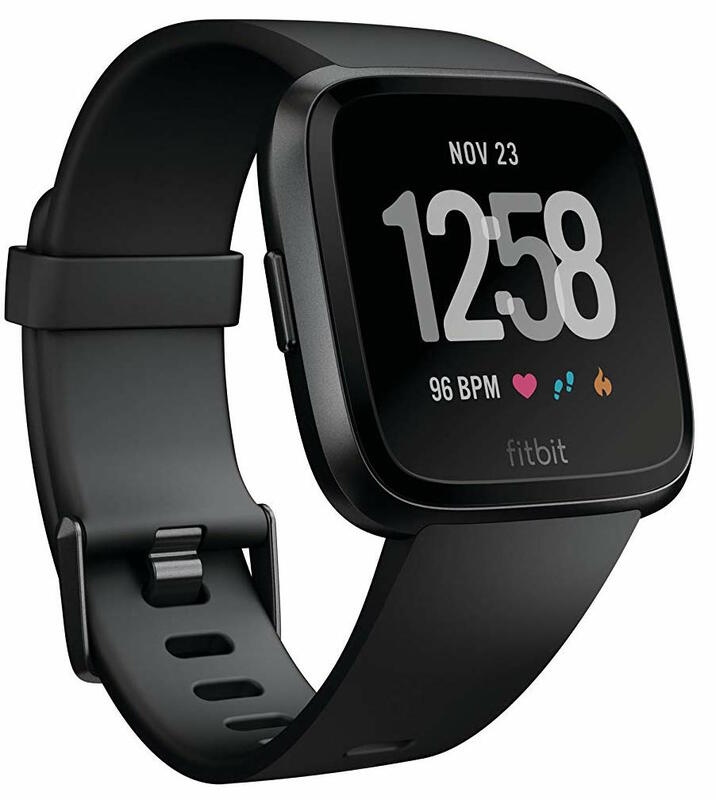 The Fitbit Versa smartwatch is our pick as the best wearable sleep tracker on the market. 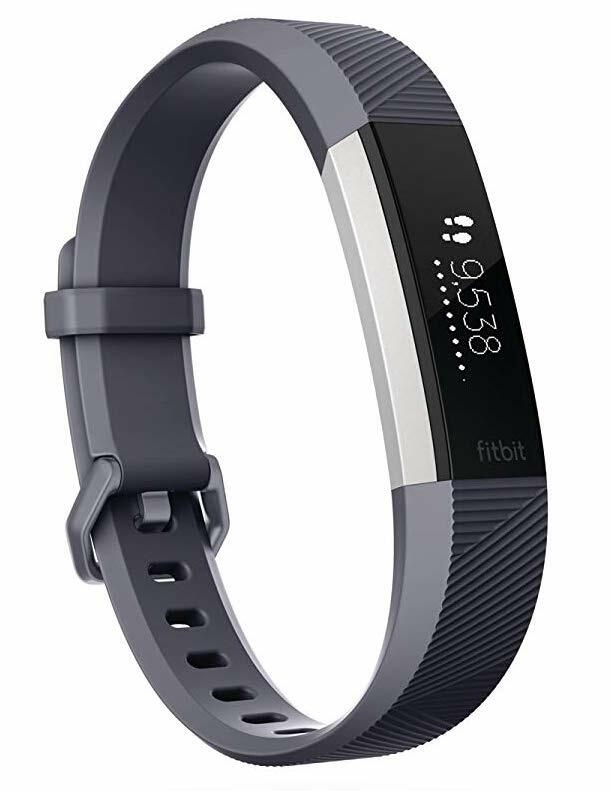 Fitbit has been around for many years which has allowed them to perfect their product offering. The watch is renowned for its ability to track fitness activity and stats including heart rate and calories burnt, while it is also GPS connected so you can collect real-time running stats. However where the watch comes into its own is its sleep tracking features as it can differentiate the difference between light, deep and REM sleep stages. It also knows the difference between you lying in bed and watching tv versus actually being asleep, so your sleep stat readings will be much more accurate. You can also use the watch to set sleep reminders to ensure that you stick to a consistent schedule. Segments sleep into 4 stages: awake, light, deep and REM. Allows you to compare your sleep habits with other people in your demographic. 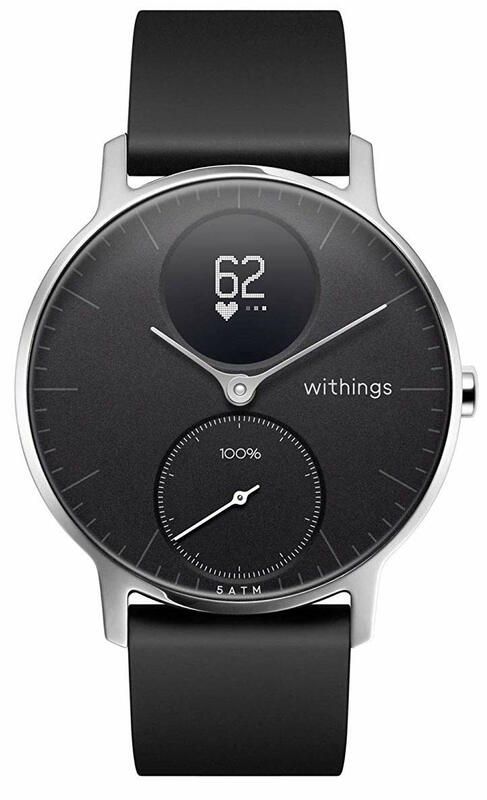 Withings is powered by Nokia, so you have the design style by Withings and the technology fuelled by Nokia making it an exceptional product. Firstly the battery life is almost unmatched with one charge providing up to 25 days of battery life with an additional 20+ day on power reserve mode with only tracks time and activity tracking. Don't let the classy exterior design fool you because its functionality is impressive. It has in-built sleep monitoring which analyses your sleep cycle while also having a smart wake up mode that silently vibrates to ease you awake at your selected time. After each sleep you will be provided with detailed sleep data including the amount of time it takes to fall asleep, how long to stay asleep, how often you're disturbed and what time they occur. The watch also has an array of fitness tracking features including heart rate monitoring and water resistance. The Fitbit Alta is a non-intrusive alternative sleep tracker that is more compact in size which means that you'll notice it less when you're asleep in bed. Obviously being smaller in size means it has fewer features and apps compared to the larger models. However, this does mean that it boasts longer battery life of up to 7 days. It also automatically knows when you're going to sleep, so you don't need to remember to change modes. If you plan to stick to a specific sleep schedule, then you can set vibrating alerts. All your sleep data is then accessible through the app which not only shows a detailed breakdown and analysis but also benchmarks your data against other users who are your gender and age. Records time spent awake, total sleep time, and time spent in light, deep and REM sleep stages. Automatically track your steps, calories burned, distance and active physical minutes. Wearing a smartwatch is not everyone's preference for tracking sleep but luckily there are alternatives, and one is non-wearable sleep tracking products. 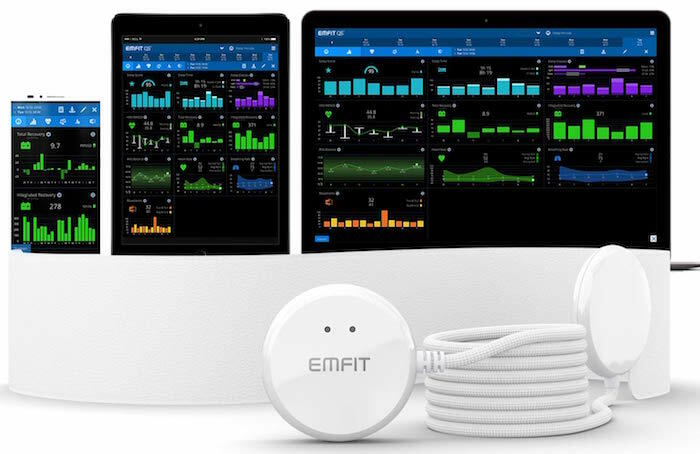 The QS tracker is made by Finnish company EMFIT and was initially designed to be used by athletes. But this has been extended to anyone who has a keen curiosity into tracking and analysing their sleep and health. The EMFIT works without being in physical contact with your body. It comes with a measuring data strip that you place on the underside of your mattress. This strip contains a ballistocardiography, with a sensitive compression sensor that records readings. In terms of data collected, this goes further than your standard smartwatch sleep tracker. It collects the usual data of breathing rate, the time it takes to fall asleep and the amount of time spent in each sleeping stage. However, it also measures athletic performance readings such as heart rate variability (HRV), total recovery and recovery efficiency. The Beautyrest is a non-wearable sleep tracker that provides a similar set up to the EMFIT tracker with a measuring pad that is placed under your mattress. Where this slightly differs is that the data is processed and sent to the smartphone app where you can then access the data. The product works on any mattress and its highly accurate sensors monitor your body movement, wakefulness and other sleep behaviours. The product is also supplied with two trackers so couples can also track their sleeping habits. This makes it the best sleep tracker for couples. So you can honestly see how effective sleep trackers are, you must first learn about the alternatives that are available to you. The quickest and cheapest way to get started with sleep tracking is by downloading an app for your smartphone from the app store. The pricing for these apps can range from being free to a few pounds, so they are inexpensive. The beauty of using an app is that you don't need to purchase any additional specialised equipment and the phone uses its built-in accelerometer to record and measure your movement throughout the night. They work pretty simply; you turn the app on just before you go to sleep and position your phone under the pillow or close to you on the mattress. The phone will then take over and track all your body movements. However, these apps do have some significant flaws, with the main issue being accuracy. One example of this is that different mattresses will alter readings differently. Calibration of the technology is challenging, and your phone can have problems interpreting which movements are from you or your bed partner, which of course lead in inaccurate data. This is by far the worst solution and should be avoided if possible. The other alternative option to using a sleep tracker is to be admitted to a specialist sleep centre. You must be referred to a sleep clinic by your doctor if they suspect that you may have a sleep order, and depending on your symptoms a sleep study may also be recommended known as polysomnography. Oxygen levels within your blood. Once this is complete, the clinic will have a vast amount of data which can then be used to assess and diagnose any sleep disorders or issues that you may be suffering from. Of course, a small sleep tracker is not going to be as effective as a sleep study, but it can still provide you with some critical information that can lead you to a better nights sleep. You must remember that it can be difficult to get referred to a sleep clinic and if you decide to do it privately it can be extremely costly so using a sleep tracker is a great initial alternative. While the majority of sleep trackers are wrist devices, there is an alternative. There are now a numbe1r of non-wearable devices that stay in the bedroom that can monitor your sleep. These are ideal for people that are interested in gathering more detailed and accurate data. The devices are either tucked into your mattress or sits on the top for you to lie on. The device detects and records three different types of body vibrations: chest movement for breathing, big body movements and cardioballistic effect. A cardioballistic effect is a small recoil within the entire body when the heart beats. This technology is still very new to the market, so they haven't yet undergone widespread rigorous independent testing. However, it's very promising for what the future holds as technology continues to advance at breakneck speed. The majority of sleep trackers use Actigraphy technology. Actigraphy uses non-invasive methods using Accerlerometres; a device that has the capability to record a users movement and position. So in simple terms, if there is a certain amount of the movement the device concludes that the user is awake, and when there is little to no movement, the device concludes that the wearer is asleep. Actigraphy is actually used in sleep clinics by health professionals; however, they test many different things, so it plays a smaller part in the overall results compared to a sleep tracker. In some ways, a home sleep tracker may be more effective and accurate than a sleep clinic. If you enter a sleep clinic, you will be sleeping on an uncomfortable hospital bed surrounded by several machines and have electrodes placed on your head. These factors can lead to you finding it even harder to fall asleep. If you were to use Actigraphy in the comfort of your own home by wearing a device for several weeks, it might give you a more genuine and accurate insight compared to a couple of nights in an unfamiliar sleep clinic. There have been many debates about how accurate sleep trackers that use Actigraphy are in comparison to polysomnography that is used by sleep clinics. In 2011 research was published by Hakim and Martin which studied the accuracy, usefulness and effectiveness of wrist Actigraphy for sleep assessment. It was also compared to to the following other types of sleep behaviour assessment. It was concluded that wrist Actigraphy is significantly more effective for assessing sleep patterns in natural environments outside of a clinical setting. Also, they also stated that the main accuracy issue with sleep trackers is that they can wrongly conclude that being awake and motionless is you being asleep. This can be inaccurate for people with severe stage insomnia who lie completely still and do not move about. It's clear to see that wrist Actigraphy does have some definite drawbacks, but it is definitely useful, and manufacturers are continually making improvements to increase their accuracy. Many sleep trackers allow you to signal when you are trying to go to sleep rather than just sitting still relaxing. While other trackers also let you manually retrospectively correct any mistakes that you think the tracker has made. The smart activity and sleep tracker industry is still in its infancy and is growing and advancing at an astonishingly fast rate. However, with this guide you're now able to purchase the best sleep tracker that will help you improve the quality of your sleep. One main tip is that we advise you only take into consideration Amazon product reviews that were written within the last 0-6 months. The reason for this is because when these products are first released, they often have bugs and problems which are then fixed via firmware updates soon after. Because of this, you often find that they have poor reviews when they first launch, but then rapidly improve over time.